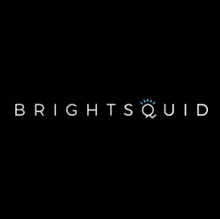 Bright Squid protects confidential information that integrates with speed and convenience of modern communications into your processes. 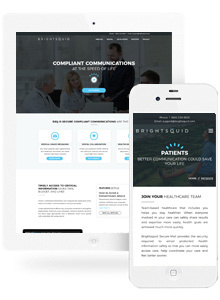 You can create administrative efficiencies, accelerate treatment & strengthen relationships. When you, your colleagues, and your patients are all on the same page, appropriate care is delivered much more quickly with potentially life-saving results. 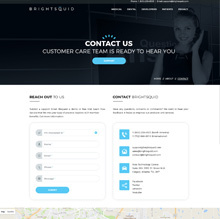 Bright Squid needed a new website that not only looked good but would attract new customers through a digital marketing strategy. 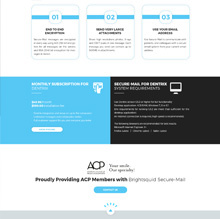 Using a search engine optimization campaign and remarketing campaign Red Cherry has been able to expose the new website to potientally 10,000's of new clients. Powerful digital marketing campaigns drive customers and leads. 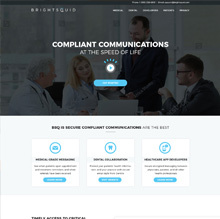 Clean responsive design means website renders pixel perfect accros all platforms. Use Wordpress to make your own changes to the website. Unique design forged based off persona maps.